Halfway there. Halfway through 2015 already. It's hard to believe. Typically the second half of the year is when the strongest pieces of cinema are released as so many studios hold off their best efforts until what is deemed "Award Season", as in the time closest to voting so they can make sure the films with the best chance of success are still fresh. That doesn't mean January through June should be ignored though. So many really good to totally great films are released early on, and these 20 are, in my humble opinion, the best of what I have seen thus far. 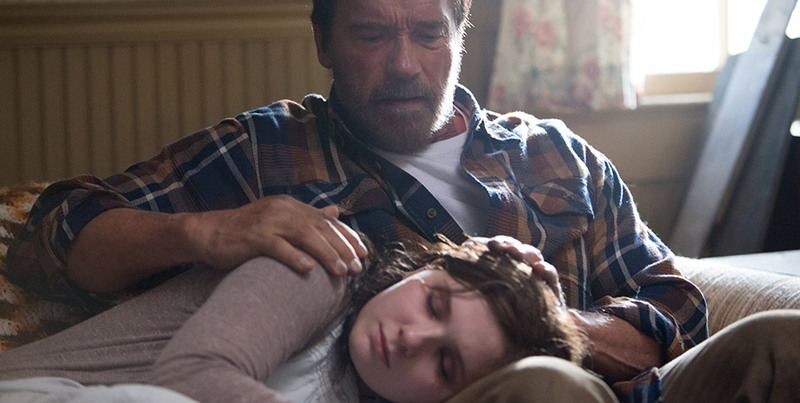 Maggie is far from perfect cinema, as it at times falls victim to some languid pacing, but it deserves credit for doing something fresh with the rotting zombie sub-genre by essentially telling a story about grief when losing a child to a terminal illness in the form of a slow transition into the flesh eating walking deceased. Awesome acting across the board as well, with Schwarenegger showing off some serious dramatic chops in a performance I expected I would have trouble taking seriously. No issue here, I bought in quickly. How the hell did a 30 minute long film funded by Kickstarter make it into my top 20 of the first half of the year? By being extremely self aware, totally ridiculous fun, that's how! 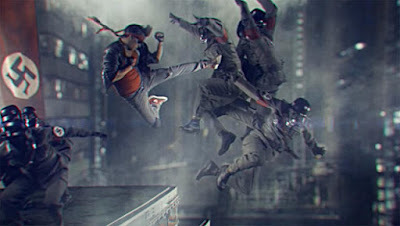 Kung Fury is absolutely absurd in the best possible ways, and the fact that it is a short film works in its favor. Had this being stretched out into even just a 50 - 70 minute feature the jokes would have gotten real old, but at a half hour it hits all the right notes and had me grinning from ear to ear throughout. If you haven't seen Kung Fury yet, just look it up on Youtube and watch it for free. It won't be for everyone, but if it does work for you, it will work wonders. 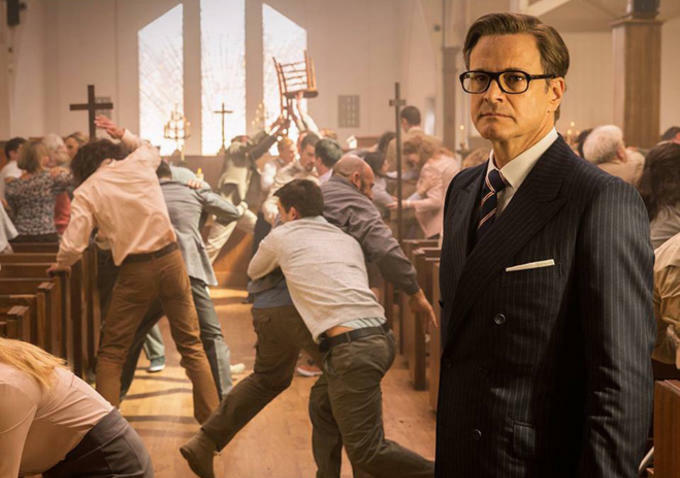 Based on the graphic novel by Mark Millar, Kingsman: The Secret Service is a hell of a good time, an ultra-violent, action packed frenzy of fun and absurdity. Much like the film above, this certainly won't click with 100 percent of its audience. If you know what you are getting yourself into going in and you can handle the bloody content, I highly recommend this one. We have all heard the story of Cinderella, we have all seen it play out in film form before, but when it is retold with the level of class and elegance demonstrated by Kenneth Branagh here it is hard not to appreciate the experience. A touching performance from the beautiful Lily James and the supporting cast all do strong work, especially Cate Blanchett as the evil stepmother, I was enchanted by the new reboot of the classic tale despite obviously knowing exactly how the events would play out. The comparisons to last years masterpiece Boyhood will obviously be made both for the obvious title similarities and the fact that both are coming-of-age stories, but it isn't fair to either film to have people pitting the two against each other. The pictures are vastly different in terms of style and their methods of storytelling, and while I couldn't make a personal connection to Girlhood I still deeply admired the craft of the movie and the moving progression of the main character, a young impressionable girl named Marieme who falls in with the wrong crowd. What an unexpected treat Faults turned out to be, a film not even on my radar at the start of the year but after seeing it, I still can't shake the thought that I am actually underrating it here. Perhaps a revisit will boost it farther up the list when I finalize a best of 2015 come Oscar time early next year. I will say no more. The experience will be far more rewarding the less you know. Just watch it when it hits Netflix streaming in July. Not long ago I was always claiming that I didn't really enjoy the western genre. I have come to realize how ridiculous and untrue that is. 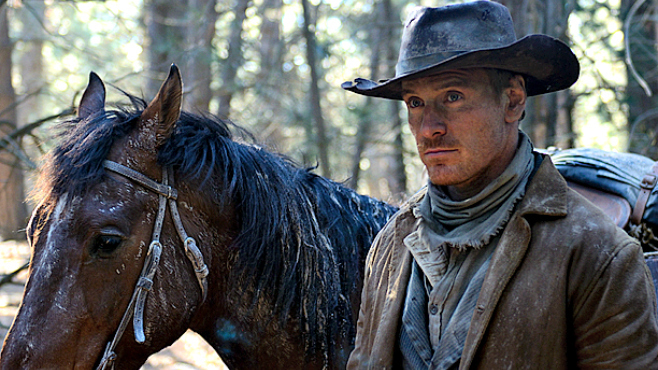 The more and more terrific westerns I watch, the more I fall in love and Slow West is a tasty one released in 2015. The movie isn't perfect, it drags in the middle despite its relatively brief running time, but the first and third acts are absolute home runs that deserve to be admired. Michael Fassbender plays a bounty hunter. Enough said. I know many are starting to really feel the superhero fatigue, and while I don't blame them, I also don't quite feel it yet. I am not over the moon regarding some upcoming projects from D.C. like Suicide Squad or even Batman V Superman (would love to be wrong on both but I am pessimistic), but Marvel still has a pretty solid hold on me and has me looking forward to what is yet to come in the universe. Avengers: Age of Ultron is not the best film from the MCU. It isn't even the second of third best, but it is a rock solid and fantastically fun effort that entertained me from beginning to end. 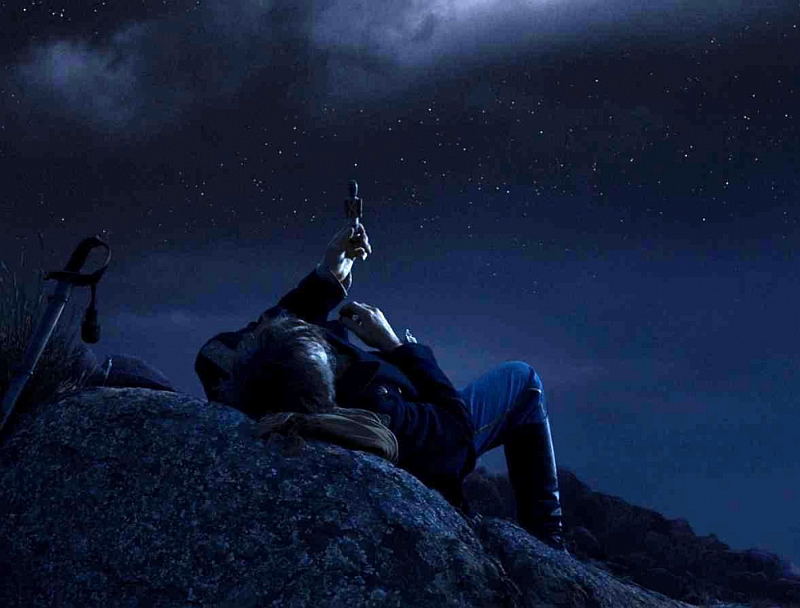 Jauja is an enigmatic and strange little wonder of a film, one that will certainly require a revisit (or 2 or 3 or 15) before I can fully appreciate its complexities, but I don't find this notion daunting. I accept the challenge and I can't wait to sink my teeth in again and discover more of what lies underneath the surface. You will recognize the face of Viggo Mortensen in the starring role, but don't expect an epic blockbuster or a traditional narrative here like you might associate with his presence since he is most well known for the Lord of the Rings trilogy. Jauja is a different beast all together. Does It Follows have flaws? It certainly does, and when many voice them I find it impossible to refute their complaints. Despite this, I completely love the film and will revisit it often when the weather outside and the mood inside is just right. I was freaked out by the camera work and the music and the concept. What a blast it was to watch this in the cinema, a picture reminiscent of the type of work that would have been released in the 80's and been essential sleepover with friends material growing up. Nice list. There are a few here I haven't seen yet, including It Follows which I really want to see. Do you have a favorite from this list? Thank you Hannah! I appreciate it! I am counting them down in order from least to most favorite, so It Follows is at the top of this list for me, but my top 10 of the year so far is still yet to come. I appreciate you taking a look and giving some feedback, thanks again! I have seen 5 of these (and 4 of them with you). 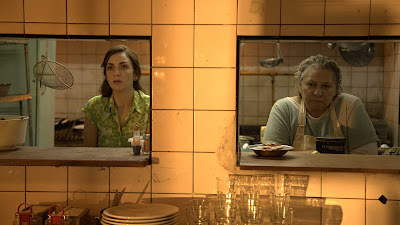 I will check out Faults on Netflix next month. I look forward to your thoughts on Faults. It's a weird film, but I appreciate weirdness haha.